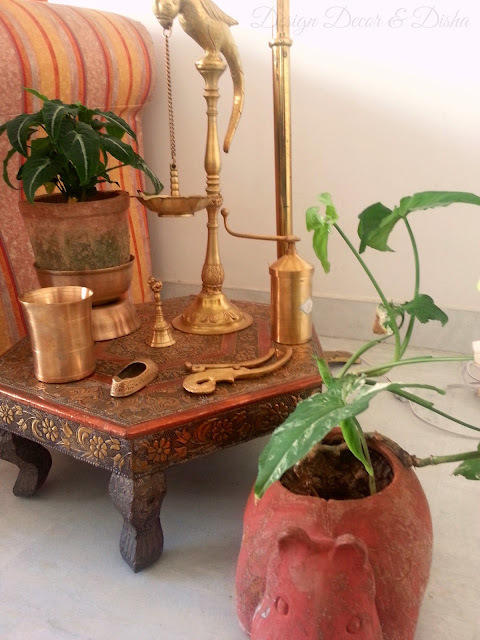 Many of my readers wanted me to showcase beautiful ethnic Indian homes in my blog. 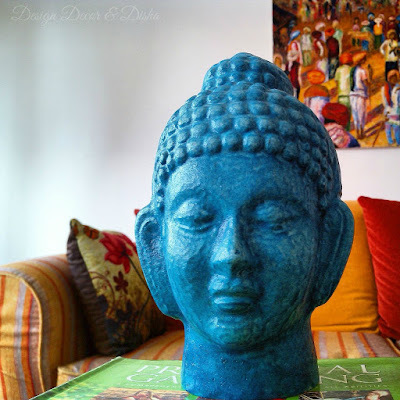 So today I am showcasing a very beautiful eclectic home of Ruma Ghosh. You must have seen an image of this home earlier in my Youtube video: Yeh Mera Ghar. Now let's take a tour of this soulful home without any delay. 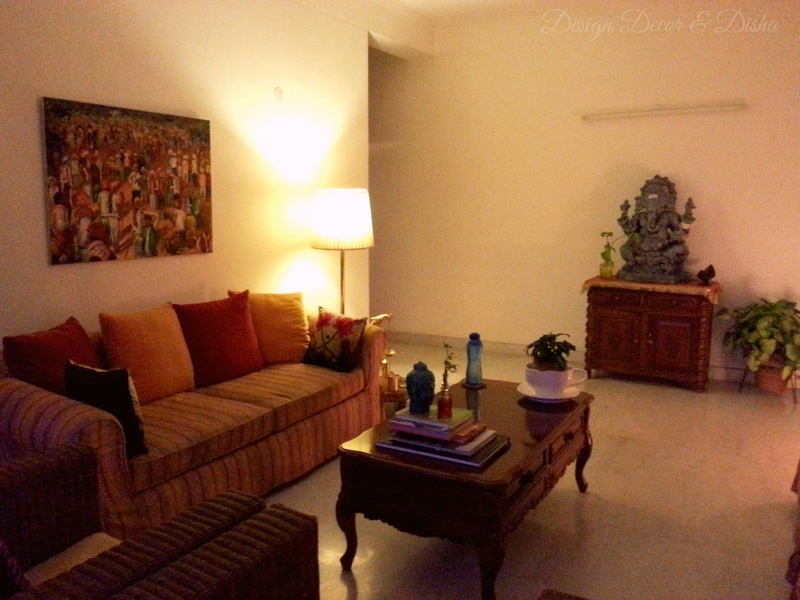 "At present, we live in a 5000sq ft penthouse in Greater Noida. I guess people from the North-east have some aesthetic DNA, and I am no different. I say so because if you travel through the states of North-east you will find very few houses which do not have flower plants lining their front. You will find blood red begonias growing out of rusted tins & jars yet placed beautifully in front of a thatched house. Its a common sight to see local forest orchids hanging out of trees or stumps of a tree adorning houses in quaint little villages of Nagaland, Arunachal Pradesh, Meghalaya and Assam to name a few". Below is the image of her living room. The painting in the background depicts The Pushkar Mela done by her friend, Sagarika Sen. Colorful cushions set the perfect backdrop for turquoise Buddha in her living room that exudes serenity. The combination of warm and cool colors make for an interesting ambiance. 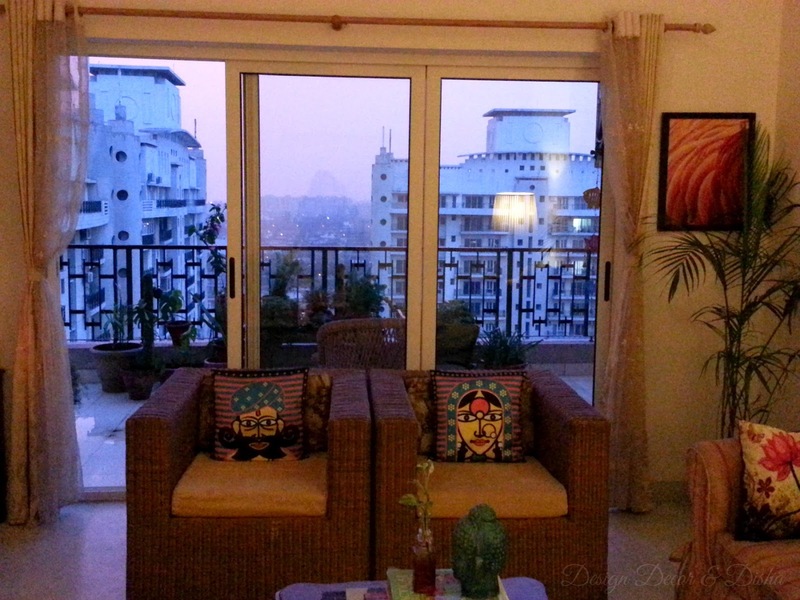 Now take a look at another side of her living room. Beautifully carved wooden chest and magnificent Ganesha statue near foyer add perfect ethnic Indian touch, emanates prosperity and auspiciousness and make an inviting and eye-pleasing display. Large sliding doors offer ample daylight and fresh air through out the day. Cubical sofa with attention grabbing cushions make a beautiful statement piece. "I get inspiration from all sorts of things, it could be a distressed old wooden bench a queer looking pot or a beautiful plant. To me it is immaterial whether I am living in a rented accommodation or a place of my own, the house which shelters me and my family of three boys and a wonderful husband from wind, rain and scorching sun has to be loved and taken care of. Decorating my home is my way of saying " I love you Home". A very beautiful collection of brasswares certainly adds the lot of character and speaks volume about Ruma's aesthetic sense. 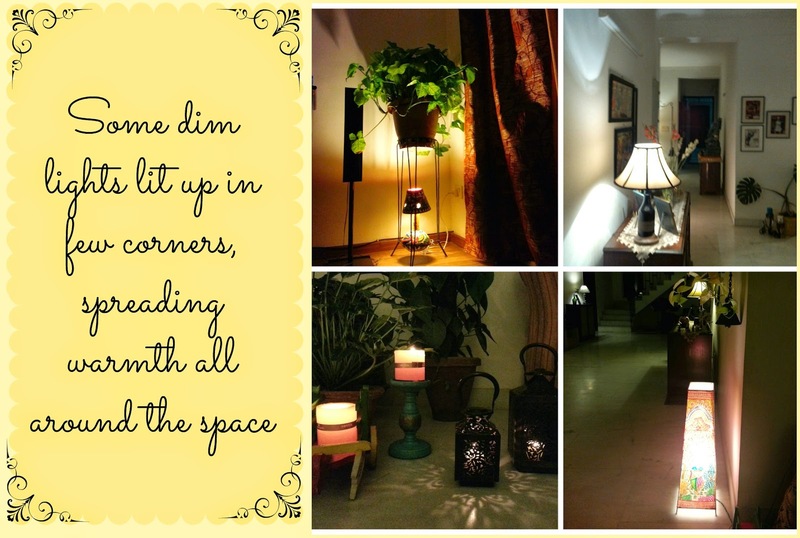 In below image vintage "Time" Magazines' cover page covers the wall in the dining room, photo frame kept near table lamp was a DIY project by one of my sons. I immortalized it by putting a toddler snap of my husband, Arnab & the painting in the last is a wedding gift from a very dear friend, a painter who is quite a household name in Singapore now. This is one of her initial paintings when she had just started. 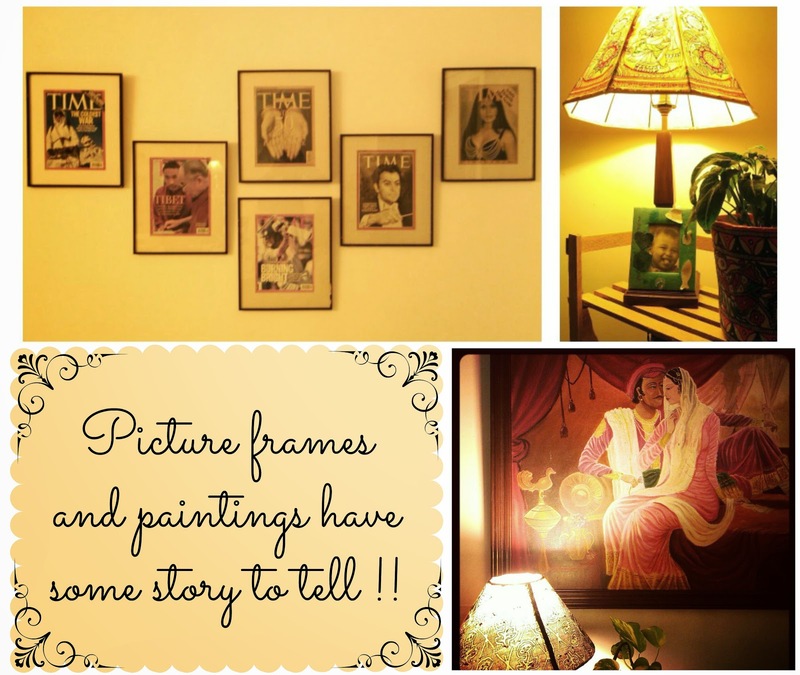 Her love for paintings and framed pictures is clearly visible in all these images. Some more gallery walls. 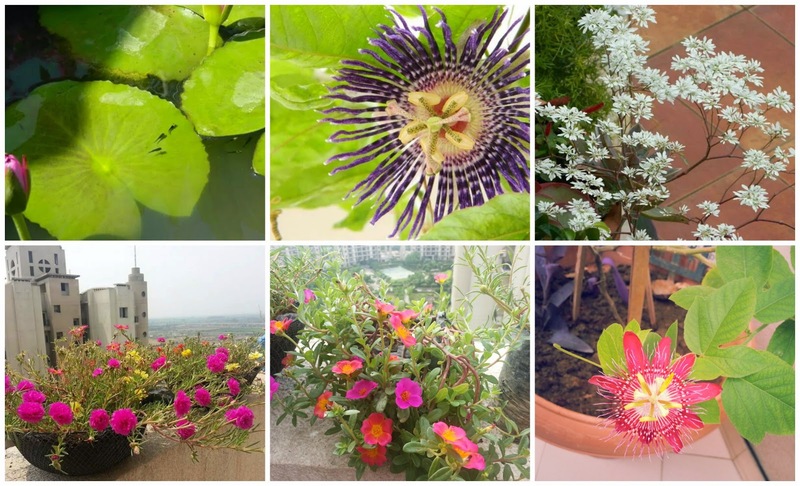 "Born amidst the pristine green and gentle rolling hills of a tea garden I guess my first vision through the windows of our bungalow was of the well manicured and lovingly laid garden of my mother. Those days furniture were minimalist mostly consists of cane and other beautiful woods procured locally. However, even without the designer furniture,at a glance everything around us was balanced and beautiful. I guess that laid the foundation of my love for decorating home". 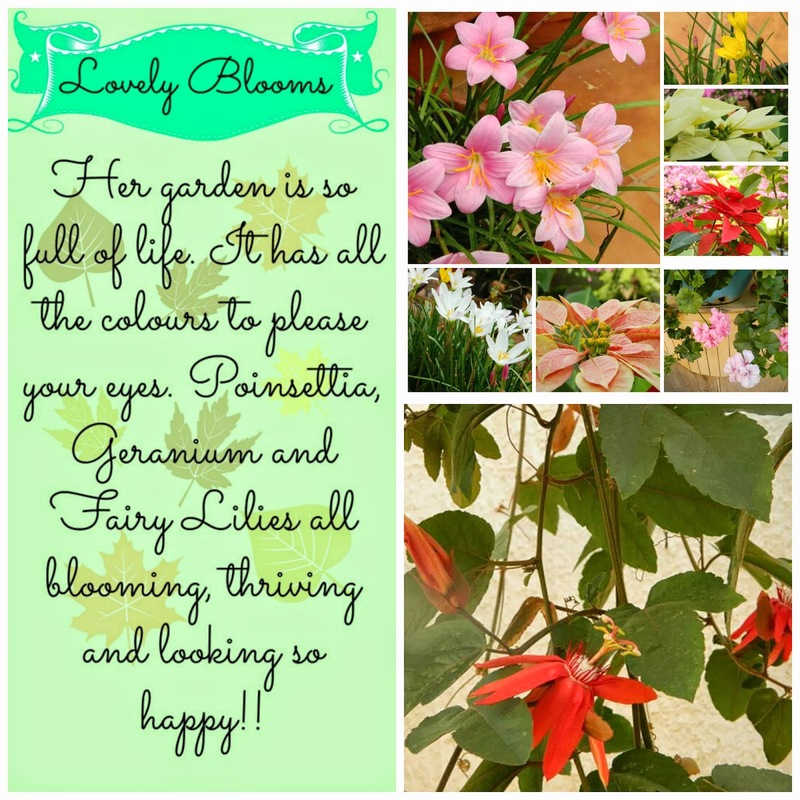 "Flowers that I have grown at different point of time". 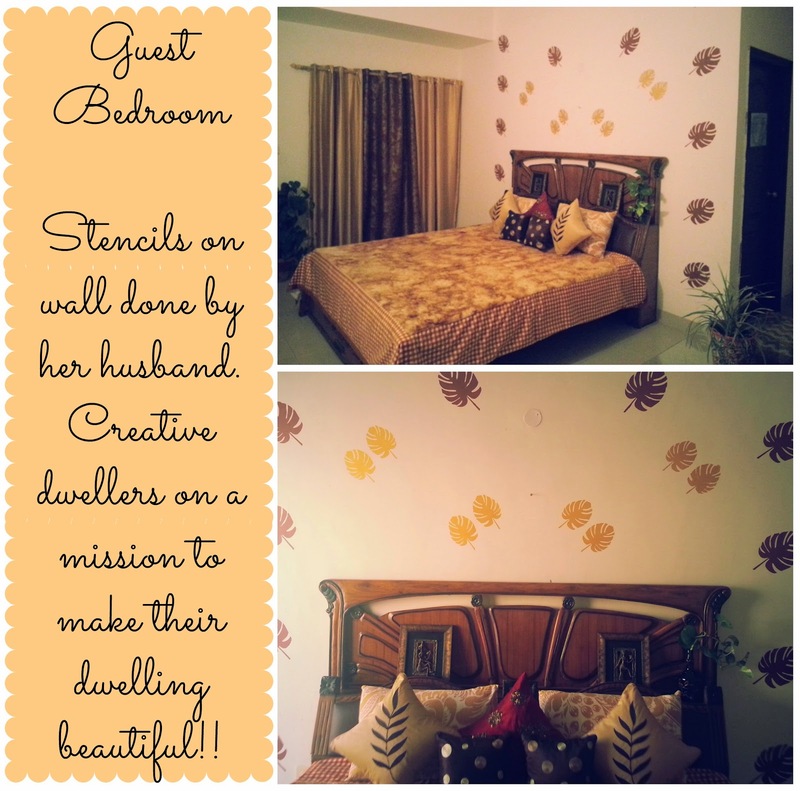 Marriage boosted this feeling as my hubby Arnab is blessed with a keen sense of art and does a neat job of painting and fixing a lot of my stuff at home. As luck would have we had to shift home many a time and together we have always ended up creating a new look for all the places that we have lived in. I guess that too helped in coming up with new ideas. 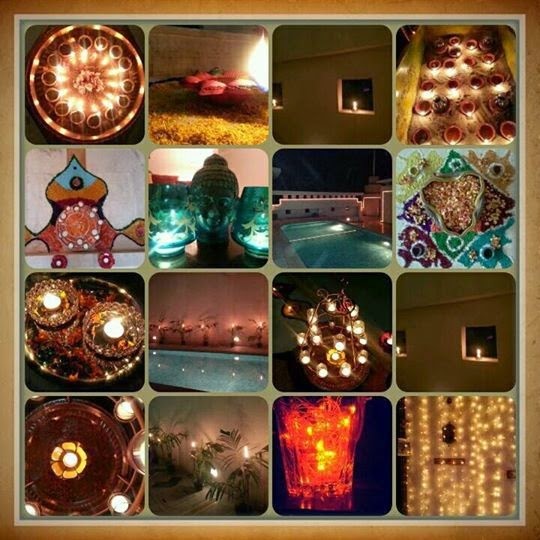 Below is a picture collage of this year's Diwali celebration. I am totally in love with her decor style and beautifully done up home. 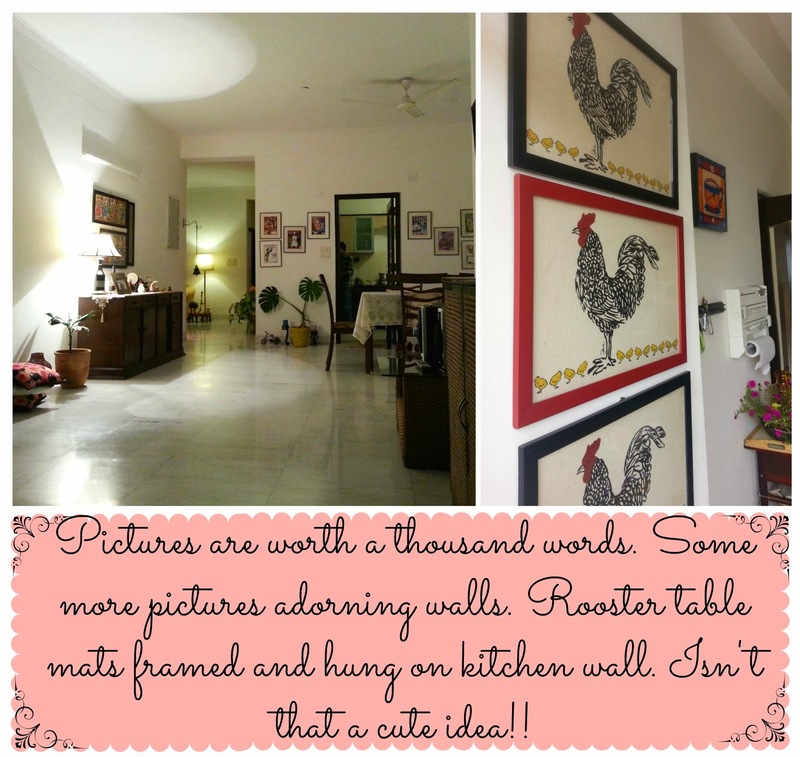 What about you dear readers, what do you think of this beautiful home...tell me...I am all ears :) I hope you enjoyed this home tour as much as I did. Stay tuned and I will be showing you something very special. Have a wonderful weekend ahead!! P.S. All the images are provided by Ruma Ghosh and subject to copyright. Please do not copy any picture without her permission.